It's the first day of spring today so I went for my first beach walk - yay! I can only say that it can't get any colder, or can it? The recent storms have certainly churned up the sea and even exposed an old pillbox. Some of the many entrants in the Whitley Bay open sea fishing competition. 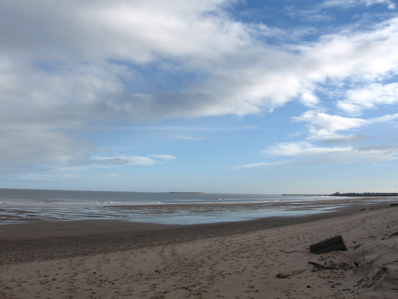 The anglers can fish from Cresswell to Embleton, this is on Warkworth Beach - Wow! Today I've been beachcombing. When I set out the weather was sunny (sunglasses on). By the time I had walked to the beach the clouds had started to form. I started walking and looking for sea glass, sadly there wasn't any probably because the tide had just turned. I arrived at the north pier (which is south) and as I looked up I saw this huge cloud and thought I had better make a sharp exit! This is at the entrance to the beach which is about a mile back home :( As it turned out, it didn't rain - could have stayed longer! !